My son graduated from Pre-kindergarten last March 12, 2011. 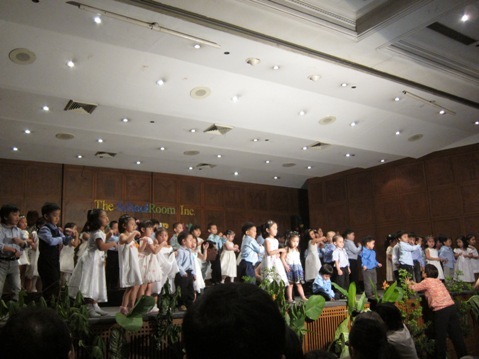 Their Moving Up Day was held at the Tektite Auditorium of the Philippine Stock Exchange in Pasig City. 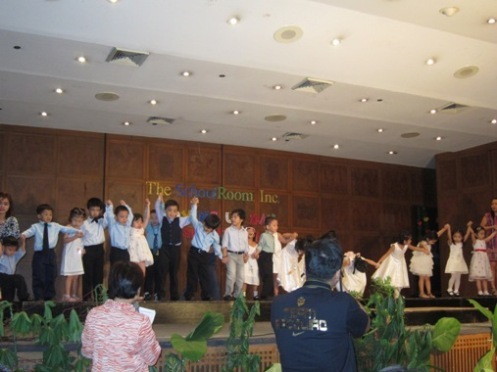 Before they had their commencement exercise, the children performed a musical production (Peter Pan) where my son played the role of John Darling, Wendy’s younger brother. 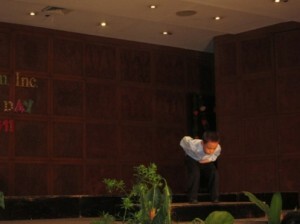 During the commencement ceremony, each student was called on stage and bowed before the audience. Unlike traditional schools, my son’s school does not give awards or medals to students. I wonder why. I made a mental note to ask the school directors about it when school opens. 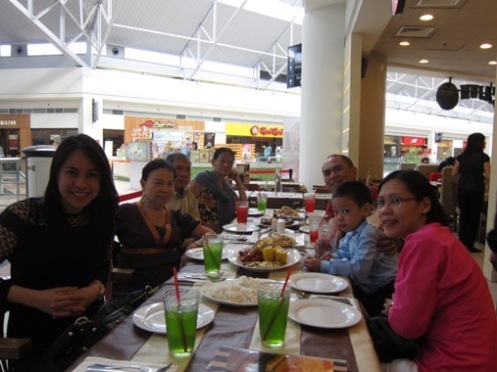 Of course, we celebrated, and like last year, Justin’s lolo and lola and another lola (my father’s older sister) plus his Tita Meann were there to witness yet another milestone in our child’s life. Congratulations, son! We love you very much! 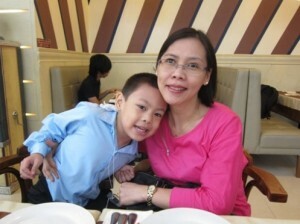 This entry was posted in Graduation Day, Mommy Moments, Moving Up Day. Bookmark the permalink. 16 Responses to Mommy Moments: Congratulations! wow, congrats Justin…and to you and your hubby, too, Tetcha :-)! congratulations to your little kiddo mommy! visiting your MM entry! hope you can drop by mine too! Congratulations little man and to you and your hubs ate! My Burritos’ Progress, come and see. Everyone in the family must have been so proud of your son. Congrats! Followed your blog too! Kala ko lumilipad siya, hehehe inaantok nga talaga ako. BTW i will follow you here now Mommy. it must be exciting to see your kid perform in a play. congratulations for moving up! hey mommy Tetcha, would you like to join my new meme, Sweet Saturday? It’s for couples this time. The first post and linky is up. Hope you can join. congrats justin! Btw, momy techa, where did justin go to pre-school? ← Be a Responsible Smoker!